a Class*y Collaboration: "Let's Get Visual! Visual!" 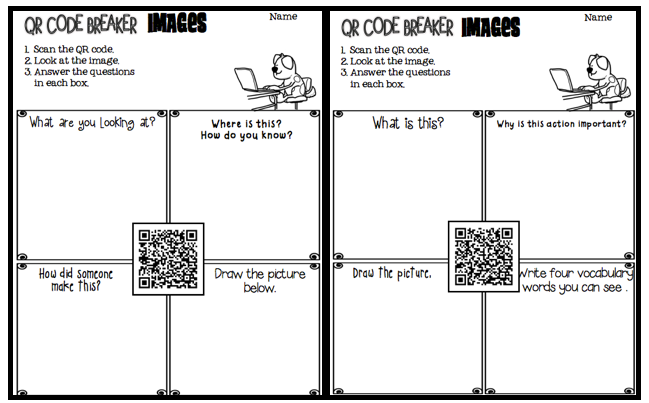 --Visual Literacy Through QR Code Breaking and a Freebie! "Let's Get Visual! Visual!" 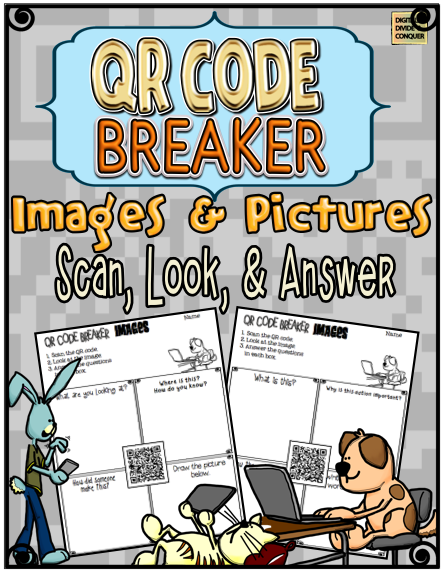 --Visual Literacy Through QR Code Breaking and a Freebie! Are you old enough to know who this is? This blog post title should be read/sung to the tune of Olivia Newton-John's 1981 super-smash single "Physical". 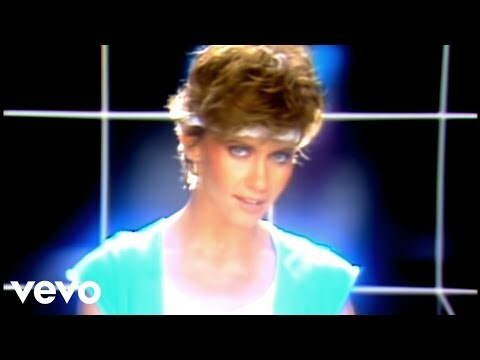 Originally, Olivia wanted the title of the song "Physical" to be "Visual"--you see she understood the importance of visualizing, comprehending, and making inferences in educational settings. The problem was her record label didn't totally agree--so she changed it to "Physical" and the rest is history. True story, I swear. Which brings us full circle to one of my favorite ways to learn--Using Visual Literacy to access understanding of what we see! "Let's get Visual! Visual!" See, now the song is stuck in your brain and it's become a mind-bottling sensation for visual literacy. Images (film, video, photos, signs, yada, yada, yada) are all around us. They inundate us, tell us stories, and crave our attention. BUT so many times we (and the students) don't understand the meanings behind them. There's tons of reasons why (too difficult, it takes time and practice, patience, limited prior knowledge, where do we begin). The bottom line is this: understanding, questioning, and making sense of images is a key skill that students need. Not just in school, but in real life--but it's a skill they need to practice. 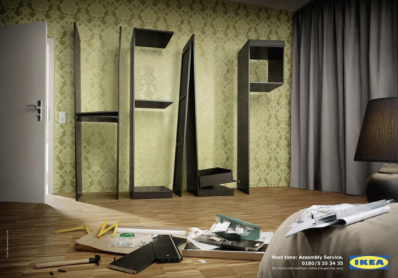 Would any of us be able to put together an IKEA chair and desk without the assistance of a little visual instructional fortitude? I think not. I love this quote (and I'm not even a quote guy). 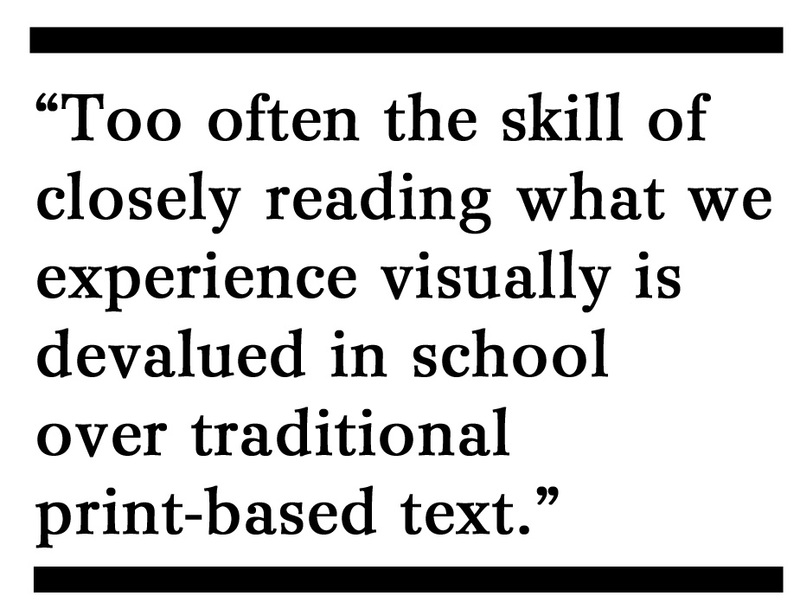 Thinking about visual literacy makes me go back to Pinterest (I'm making a connection). Why do we love it? PICTURES--immediate understanding, relating, making connections! How many of us are visual learners? Yup, I am. Are we building that same base for our students? Probably, but we could always be doing more. So you're probably asking me: "Matt, how can you help me out because I'm getting real tired of you going on and on about this visual lit stuff." 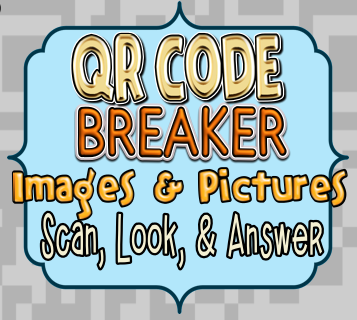 Well, I got you covered because I'm giving you another QR Code Breaker Freebie for Visual Literacy. Insert Oprah's "And You Get A Car" speech here. The QR Code links to an interesting image that students must decipher/decode/understand for themselves. Each page has four questions that vary from who, what, where, when, and why (and how) to redrawing the image, pulling vocabulary terms out, making connections, and questioning the importance, and more. In this file you'll find five worksheets to try with your students. 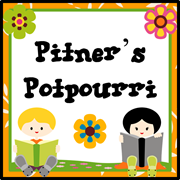 So, go download this freebie and see what you think. This is a quick and fun activity to get students thinking about exactly what they're seeing (or aren't seeing). It's also an excellent way to create discussion in the classroom about what each individual student takes from seeing each image. We all see from different angles and those differences can help foster a better understanding of images we see every day. **Don't have tech? No problem. You can do this same thing by picking out images from newspapers, magazines, or graphics around the room. Then have the students answer questions that aren't just "yes or "no". Make them tell you why. Make them explain how they know. So run, don't walk! Get yourself a copy to try out. If you like it check out a couple of my other QR Code Adventures. If you want to see more stop over and visit me at Digital: Divide & Conquer. It's a total party over there. I mean--it is just crazy. Well thank you--I'm never to sure who will enjoy my humor (but I do) besides who doesn't like Olivia Newton John! I'm sure we'll have another meet-up so we can talk them (I'm pretty easy to pick out at those events). Enjoy the freebie and if you've got any question--lemme know! I LOVE this!! Everything about it!! The concept, the delivery (I literally was laughing out loud and shaking my head in agreement), and the fact that I will be singing "Let's get visual" for the rest of the day!! Thanks Sarah! I'm always surprised how much kids know/don't know from looking at thing. I guess I could add in adult too. My mom always had a saying about "looking past the end of your nose" I've taken that to heart. My students LOVE the QR code adventures so I know they will love these too. I get to loop up with my class to second grade so I know they will be looking for more QR code fun. I can't wait to try these out! That's so cool with the looking---I'm guessing they'll be little professional when it comes to tech enology and class procedures. Let me know if you've got any questions. Matt, I am so happy that I have finally found some time to catch up with fellow CLASSY members! 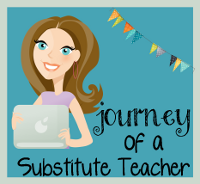 Great to have you on board and this post is fantastic! Keep em' coming because QR Codes will be a new thing for me this year! I'm glad to be here and excited to share (and learn quite a bit). Thanks for the kind words too :) Let me know if you've got any QR questions--sometimes it can get overwhelming, but the kids pick it up so quickly. Your blog is written very well and full of interesting, there is a lot of fun in your blog.I spend hours in my office every day and happen to see your blog.I enjoy reading your blog and hope to see more.